Was it Cecil the Lion’s Fault? It’s possible Cecil wasn’t as harmless as he looked. He might have been carrying a concealed weapon. His wild, unkempt mane made a perfect hiding spot for a pistol or knife. And knowing how animals move from time to time, Cecil might have made a sudden movement that could have been interpreted as him reaching for a weapon. The hunter might have been in fear for his life. In fact, some might even call him a hero. I don’t see anyone else volunteering to keep our community safe from these lions. I mean, come on. Look at Cecil’s mug shot below, generously provided by the media. He looks dangerous to me and is likely under the influence of marijuana or bath salts. After all, he is a lion. Would you want to see THAT in your neighborhood? I don’t. Cecil tried to run away from the hunter, who was only exercising his God-given right to express himself by killing something. But why? Why didn’t Cecil stand still to be slaughtered? Instead, he forced them to track him down for hours. Lions don’t run unless they’re guilty of something. And what could he have been guilty of? Well, let’s talk about an uncomfortable topic. 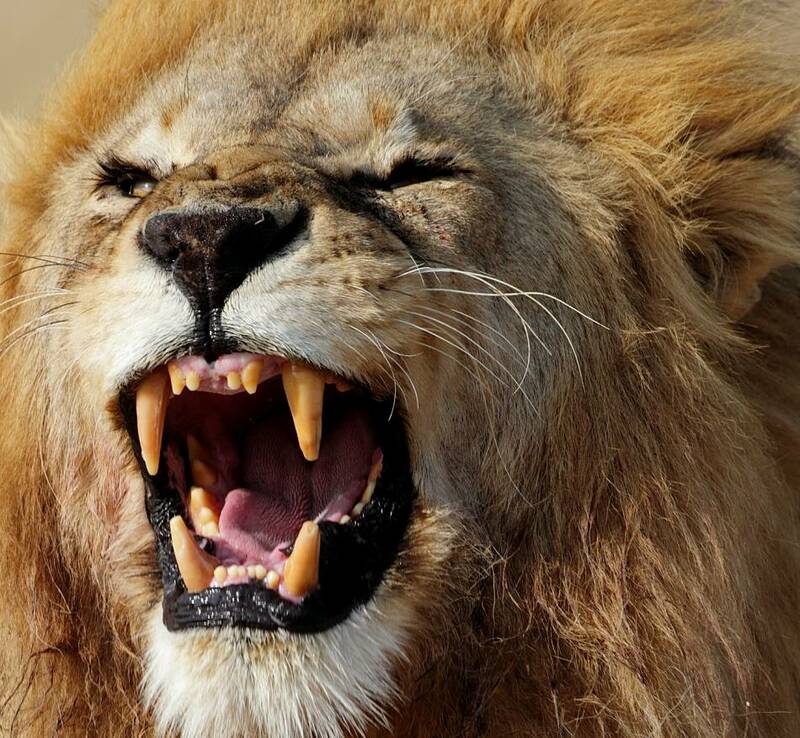 Lions kill other animals—and even other lions—all the time. Have you seen the stats of lion-on-lion killings? They’re deplorable. The lion culture propagates this behavior. They’ll even kill another lion’s cubs when they take over a pride, just to ensure that only their progeny will survive. Now imagine if people did that. Imagine if your mother remarried and your new stepfather suddenly took out a .40 caliber weapon and tried to plant a bullet in your forehead. That’s cold, isn’t it? Well, I guarantee Cecil did something like that back in the day. But no one wants to talk about how more lions are killed by other lions instead of hunters. So instead of sending this dentist death threats and trying to shut down his practice, we should be more concerned about Cecil’s past criminal record when it comes to cub-killing. In fact, we should look at it another way. Imagine the dozens of cubs Cecil killed in the past, those poor, innocent kitties that never had a chance to live. If they’re in heaven right now, they’re watching justice being served and a violent killer being made to pay for his past sins. That is the moral of the story that should be shared. And it’s quite possible Cecil’s behavior escalated things. If he had stopped and kept quiet the first time the hunter shot at him, the hunter might have had a change of heart and decided to let the lion—and his $50,000 fee—go. Yet, Cecil had the nerve to run and parade around like he was the king of the jungle or something. If Cecil didn’t display that arrogant attitude and knew his place in the hunter-lion pecking order, things wouldn’t have escalated and he might still be alive today. So, unlike the rest of the world, I don’t believe Cecil is blameless in this affair. This is just more displaced outrage, channeled at a popular target without the benefit of knowing all the facts. What makes Cecil so important, relative to other pressing problems? Did you know, that as of this moment, we’re only down to 4 northern white rhinos left on earth? And they’re unable to breed, so they’ll be extinct in about fifteen minutes. But the Cecil-lovers haven’t uttered a word of protest or concern. Instead, they’re spewing outrage about a lion with a past criminal history, a lion that was probably disrupting things by marching and protesting unfair poaching practices with other thug-lion friends. There are hundreds of lions left but only four northern white rhinos. And we’re focused on Cecil? What about dogs? Cats? We can’t be worried about one single lion, no matter how unfortunate the circumstances that led to his death. We need to understand that not all hunters are bloodthirsty killers. This entry was posted in Various Musings and tagged cecil, cecil the lion, livesmatter on July 29, 2015 by J Reid.